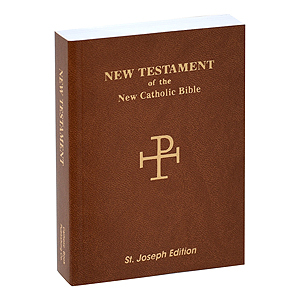 A completely new Catholic translation in conformity with the Church’s translation guidelines, the New Catholic Version is intended to be used by Catholics for daily prayer and meditation, as well as private devotion and group study as an alternative to other translations currently available. 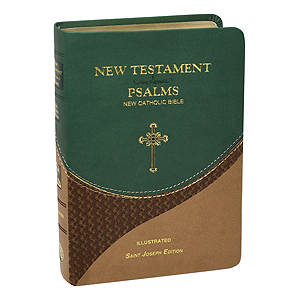 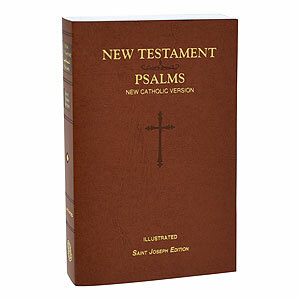 This faithful reader-friendly translation of the New Testament was prepared by the same team as the NCV Psalms released in 2002 and widely acclaimed for its readability and copious, well-written, and informative notes. 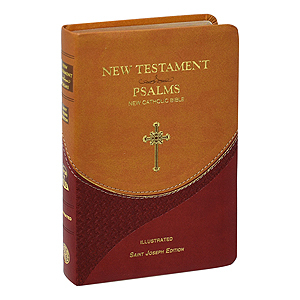 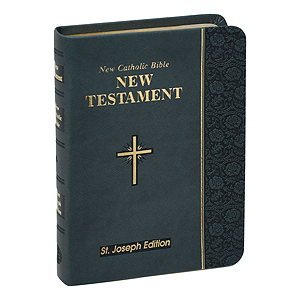 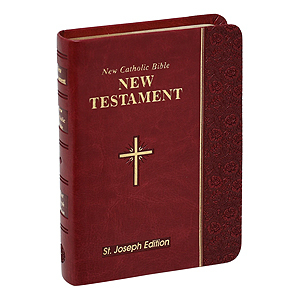 Our St. Joseph Edition with pho- tographs and maps of the Holy Land and many other Bible helps, including the words of Christ in red, is offered in bindings and prices for everyone.